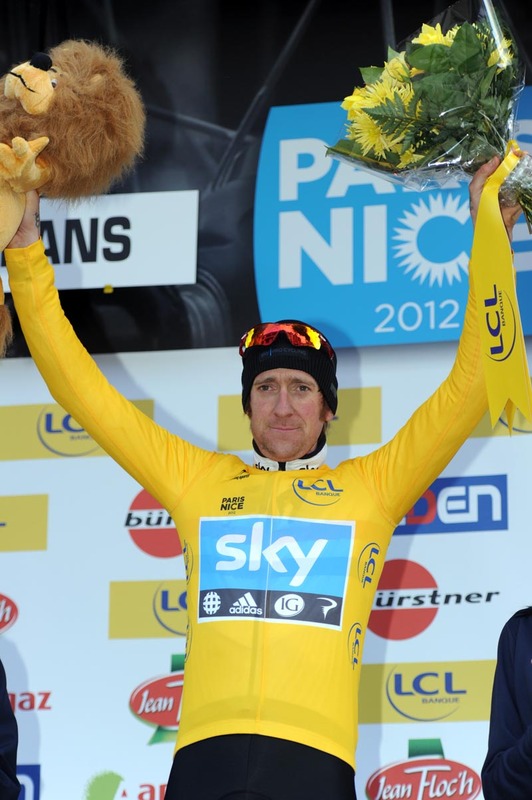 Bradley Wiggins rode in to the yellow jersey in Paris-Nice on Monday after the race split to pieces in the crosswinds. 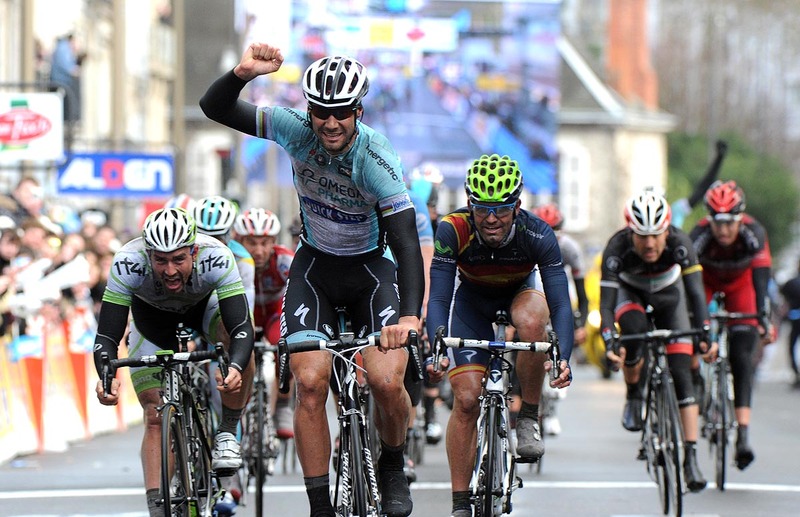 Tom Boonen won the stage, comfortably taking the sprint from a lead group of 20 riders. Wiggins was in the lead group when it formed as crosswinds and rain hit the peloton on the narrow, exposed roads south west of Paris, leaving it in several echelons. As the lead group pushed on, the groups behind came together to reform two pelotons, but despite having greater numbers they continued to lose ground. The yellow jersey of Gustav Larsson was stranded in the first bunch with last year’s winner Tony Martin, while Andy Schleck was even further back. Lying in second place overall by just one second, Wiggins obviously didn’t want to leave it down to just the winning margin. With 45km still to go the Briton contested and won the intermediate sprint in Neuvill-Aux-Bois – ahead of Alejandro Valverde – to take the three bonus seconds on offer. But he needn’t have worried, although Wiggins only had fellow Brit Geraint Thomas for company, the rest of the group worked as Omega Pharma-QuickStep had Boonen there for the stage win and Leipheimer in third overall. BMC put their efforts behind Tejay Van Garderen who moved up to fourth overall after the stage. Only towards the end did the group lose some cohesiveness, leaving Wiggins on the front doing huge turns. Even then the peloton weren’t making any real inroads, and eventually the winning margin crept out to two minutes and 29 seconds. Barring any mishaps, it looks like the winner of the race will come from today’s lead group, and Wiggins and Leipheimer are in prime position. Tony Martin is now 2-56 mins behind Wiggins, while Andy Schleck is 12-01 minutes behind. Thomas moves up to ninth place overall, 28 seconds behind Wiggins. 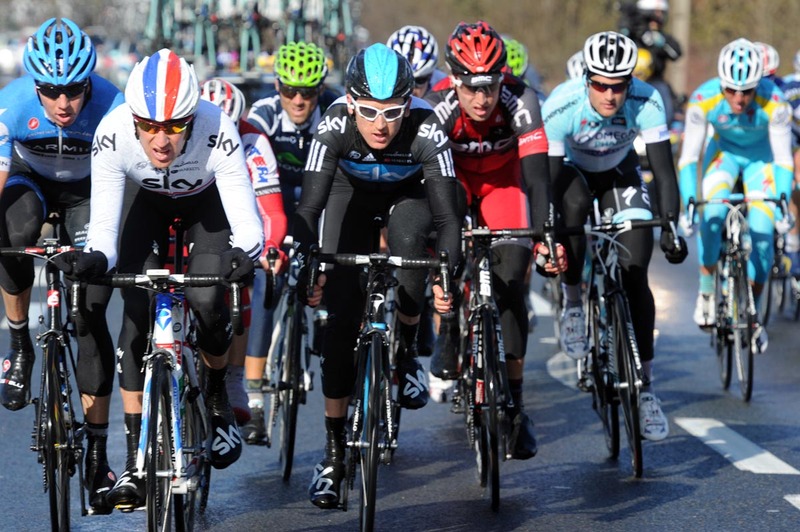 Paris-Nice 2012: Who will win?